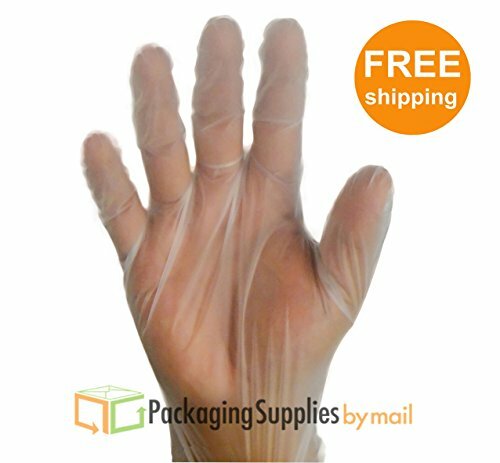 Food Service Powder Free Vinal Gloves Industrial Grade Size: Small 10000 pcs ( Non Latex Nitrile Vinyl ) by Shield at Blog Free Here. MPN: PSBM-GLVEPFN-S-100. Hurry! Limited time offer. Offer valid only while supplies last. Vinal Disposable Powder Free Gloves popularly used in industries as well as for general purpose. It is made up of Thermoplastic Elastomer material. Vinal Disposable Powder Free Gloves popularly used in industries as well as for general purpose. It is made up of Thermoplastic Elastomer material. They are available in different sizes.TPE gloves are produced using TPE materials which can be recycled since they can be molded, extruded and reused like plastic but having elastic properties like rubbers which cannot be recycled owing to their thermosetting characteristics. It is Used in food industry, chemical industry, pharmacy, paint and coating industry, printing and dyeing industry, Agriculture, forestry, animal husbandry,Car washing, waxing, Gardening, kitchen, restaurants, hotels, enterprises, shops and etc. Skin-friendly, free from latex, phthalates (softerner) BPA & chemicals. Household cleaning & Personal Care. If you have any questions about this product by Shield, contact us by completing and submitting the form below. If you are looking for a specif part number, please include it with your message. KC500 Purple Nitrile-Xtra Exam Gloves Large - 500 ct.